August 31, 1996, L. G. Crabo. Hydraecia obliqua is a medium-sized to large moth (FW length 16–24 mm) warm tan moth with smooth pale forewing lines, especially the postmedial line, and spots filled with slightly paler tan that flies west of the Cascade crest during late summer and fall. The forewing margin is slightly scalloped. The color is usually tan with a slight orange tint, but some specimens are tinted with olive or darker brown. The median area other than the costa is darkest, gradually increasing to the postmedial line. The lateral portions of the subterminal and terminal areas are also slightly darker than the ground The basal line is very faint on the costa only. The antemedial line is faintly darker than the ground, double filled with lighter tan, smoothly arched toward the outer margin or arched with a slight notch toward the base in the cell. The median line is usually absent, sometimes very faint on the posterior wing. The postmedial line is thick with an inner component that is a dark shade of the ground, often appearing red-brown, bordered laterally by a very light shade that is the most prominent marking on the forewing. It is drawn sharply toward the base on the costa, is acutely bent toward the base just below the costa and is nearly straight or minimally convex toward the outer margin across the wing. The subterminal line is slightly irregular, preceded by a slightly darker shade. The terminal line is thin and dark. The fringe is similar to the terminal area. The orbicular and reniform spots are similar, thinly outlined in a slightly darker shade of the ground and uniformly filled with a light shade of the same color. The orbicular spot is round or a tilted oval. The reniform spot is kidney-shaped. The claviform spot is variable, absent or evident as the pale filling without a dark outline. The hindwing, including the fringe, is light yellow-tan with dark gray shading on the veins and weak postmedial and marginal shading. The head and thorax are orange-tan or gray-tan. The male antenna is strongly biserrate with a wide central shaft. 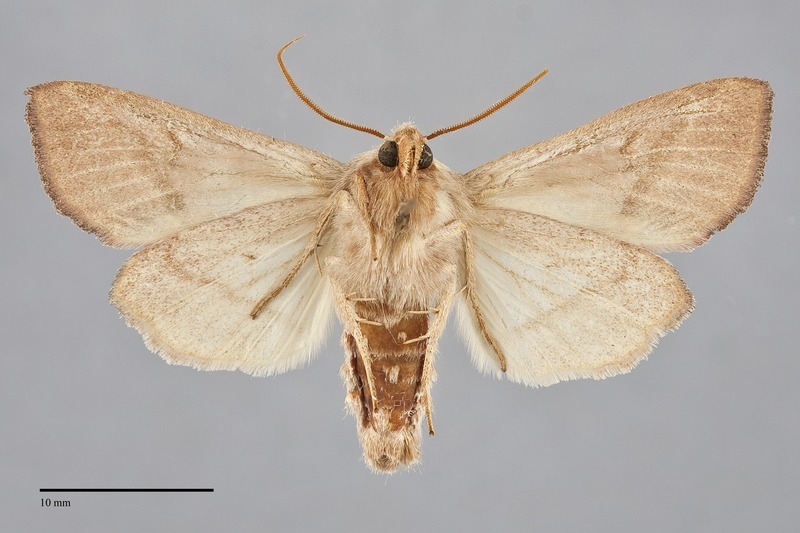 This species is similar and closely related to Hydraecia medialis, found in dry forest and steppe habitats east of the Cascades. Lars Crabo evaluated the North American Hydraecia obliqua "complex" in the 1990's (unpublished) and found clinal differences in appearance and male valve shape across the extensive range of this complex, including the Coastal populations herein referred to as H. obliqua, leading him to believe that only a single species was present. Subsequently, differences in mitochondrial DNA were found between the darker orange and brown coastal forms and variable pale inland populations. This suggests that it is reasonable to use the names H. obliqua and H. medialis for these populations. 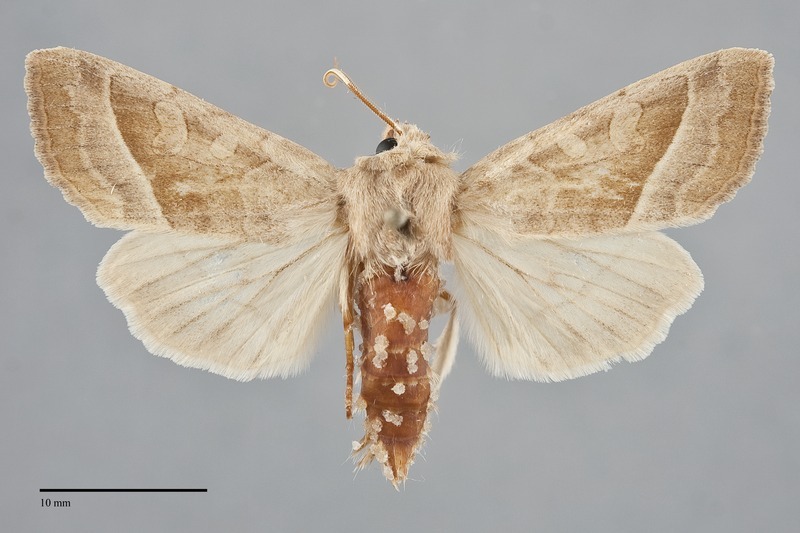 Most populations of Hydraecia medialis are paler and less orange and warm brown than H. obliqua and have less gray suffusion on the hindwing. 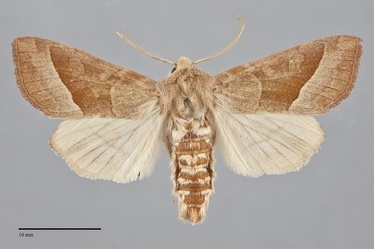 West Coast Hydraecia occur continuously from central California to southern British Columbia, gradually darkening to dark brown with heavy gray suffusion on the hindwing in central California. The type locality of the synonym Gortyna columbia Barnes and Benjamin is [Canada], B[ritish] [C]olumbia, Saanich District. This species is common and widely distributed west of the Cascades at low to middle elevations. It appears to be most common in the riparian zone along creeks and rivers of coastal rainforests, but is also frequent in oak savanna, mixed hardwood forests, and in valley grasslands. Hydraecia obliqua is found on Pacific beaches as far north as Vancouver Island, British Columbia. Isolated northern records exists from the vicinity of Terrace, British Columbia. It occurs inland near the southern Puget Sound in Washington but is more widespread in western Oregon. This species and H. medialis might hybridize along the east slope of the Cascade Mountains in Jefferson County, Oregon. The range of this species extends to the vicinity of Los Angeles in southern California. Most California populations appear to be restricted to ocean beaches, although it occurs inland near Los Angeles. This species probably bores into the stems and roots of relatively large herbaceous plants based upon closely related species. Crumb (1956) records it from lupine (Lupinus spp., Fabaceae) in western Washington. 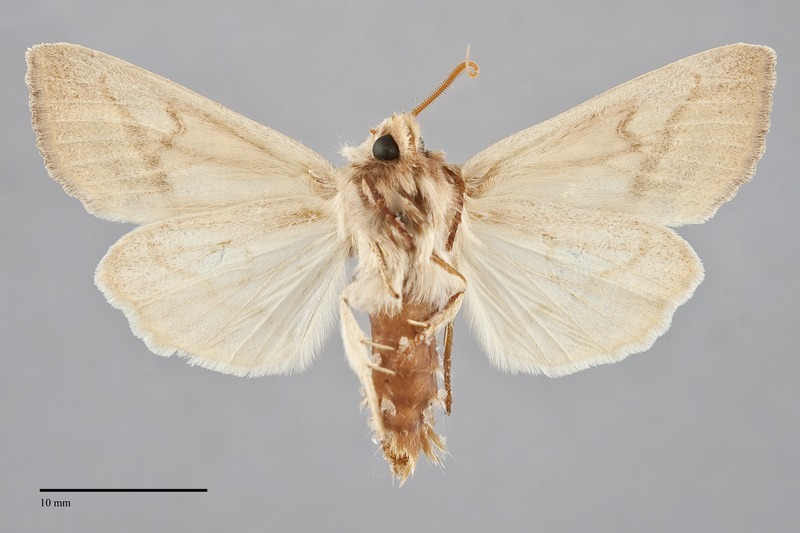 This moth flies during late summer and fall. It has been collected from mid-July to late September in the Northwest. It is nocturnal and comes to lights. A few specimens were collected at sugar bait in Washington.